Teaming up with Boone Hospital’s Stewart Cancer Center, the radiologists at Radiology Consultants Inc. provide a Lung Cancer Screening program. This program aims to fight lung cancer and improve patient survival by as much as 20%. The screening includes a low dose CT chest examination to patients who qualify as high risk. 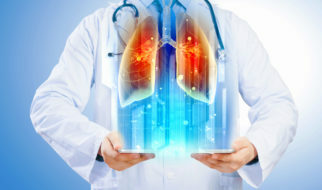 More on Lung Cancer Screenings here. If you would like to learn more, please visit the Boone Hospital Lung Cancer Screening website or call 573-815-2888.